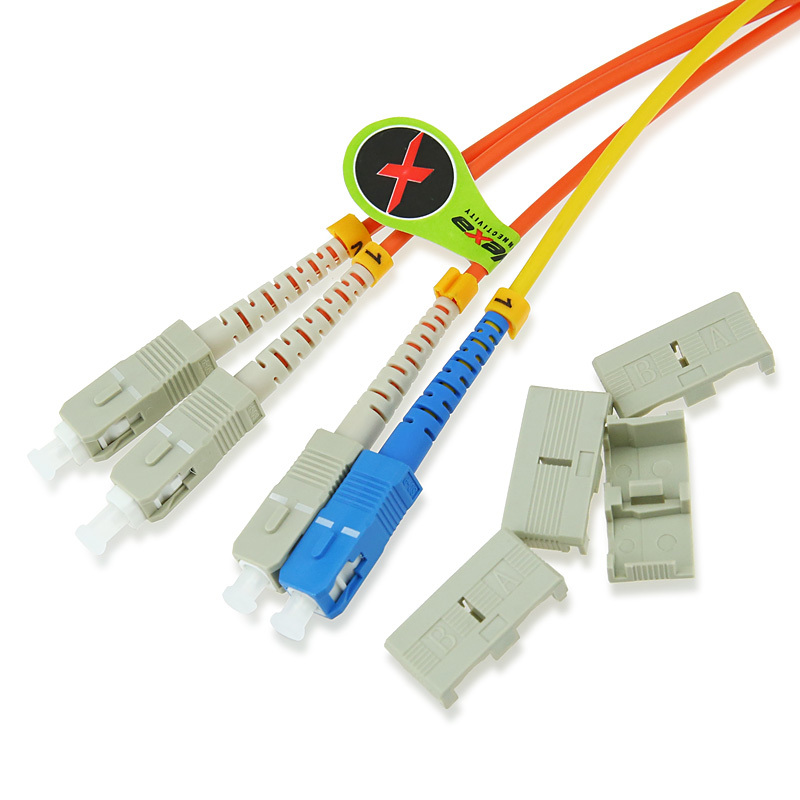 Mode Conditioning Patch Cable (MCP), also known as Mode Conditioning Patch Cord, is used in longwave/long haul (LX/LH) Gigabit Interface Converter (GBICs and SFPs) with multimode fiber. Without using MCP, multiple signals are generated when a singlemode laser launch into the center of a multimode fiber. This would result in pulse broadening or Differential Model Delay (DMD) effects which degrade the modal bandwidth of fiber cable and limit the link span (the distance between the transmitter and receiver) for operating Gigabit Application. 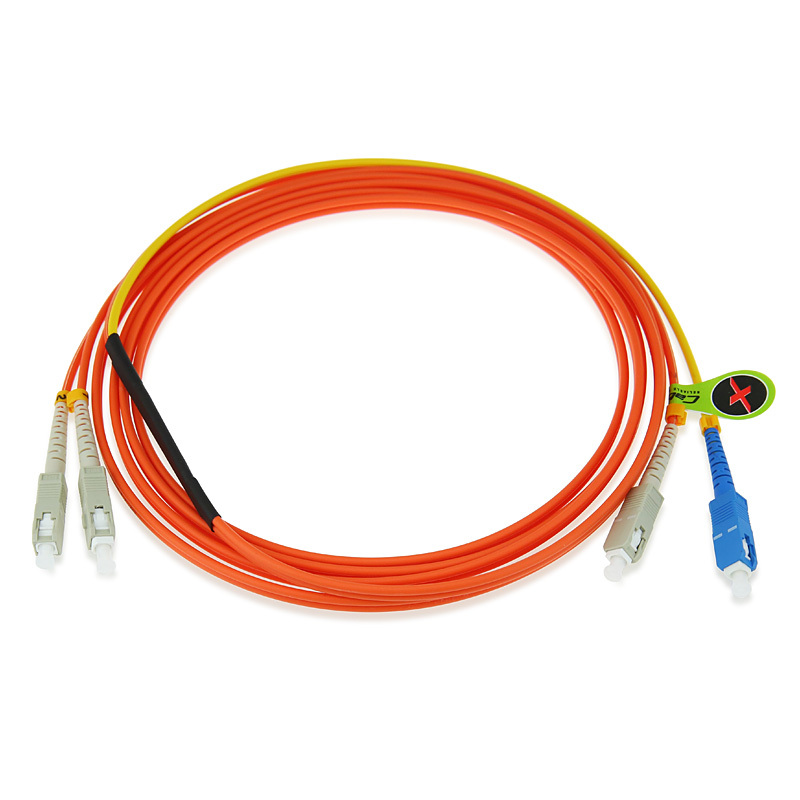 Mode Conditioning Patch Cable provides an offset singlemode to multimode fiber connector point that eliminates the effect of DMD by launching the singlemode laser into multimode core at a specified offset. 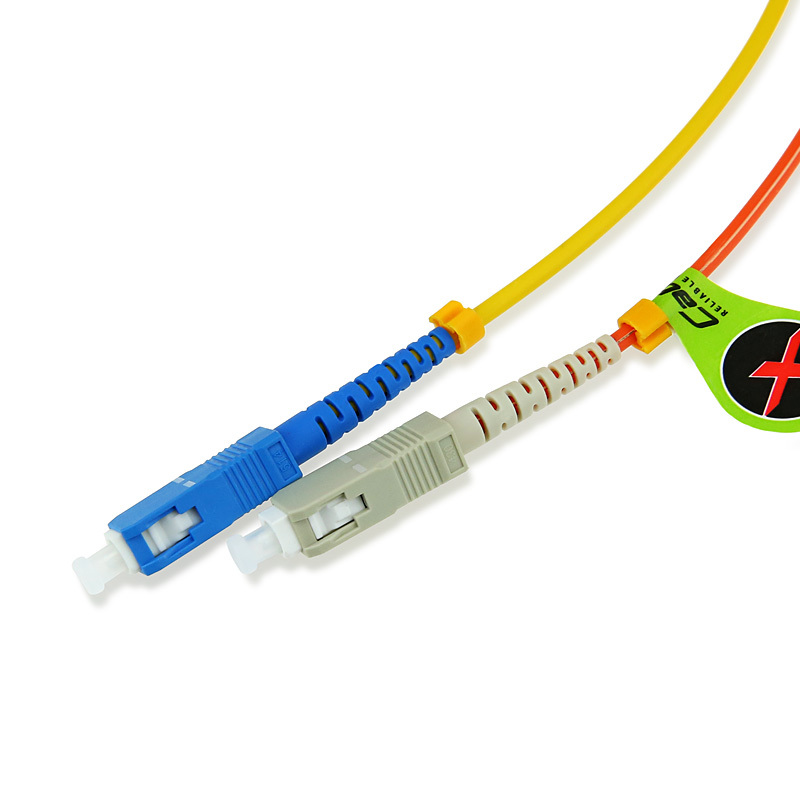 We offer Mode Conditioning Patch Cables with a variety of options, from all types of connectors to different fiber modes to different jackets to different lengths. 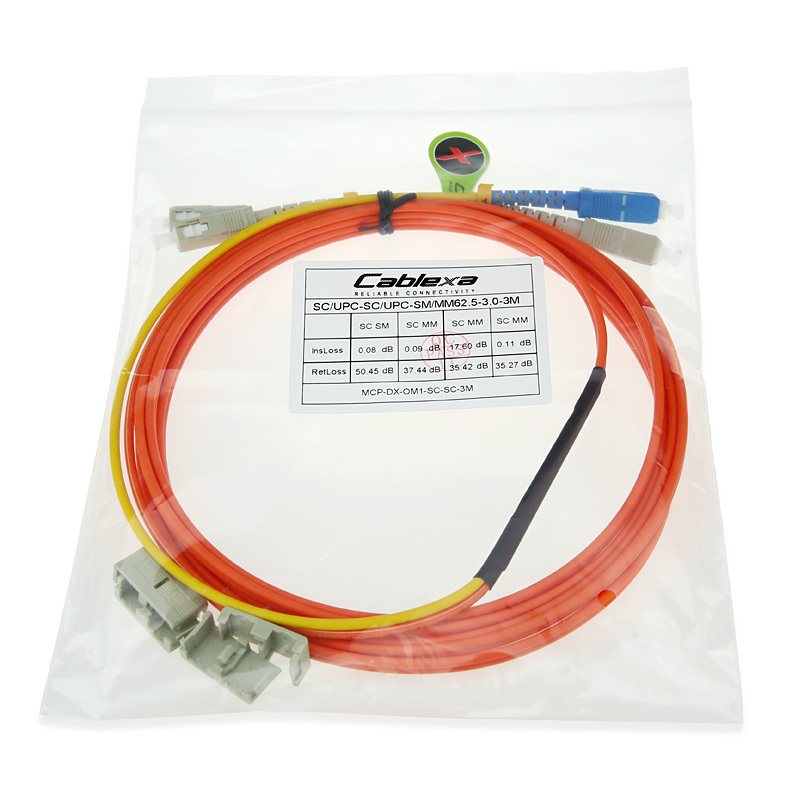 Available with a variety of fiber optic connectors for your convenience including: LC/UPC, SC/UPC, FC/UPC, ST/UPC, LC/APC, SC/APC, FC/APC, and MTRJ. The need for this mode conditioning fiber patch cord is due to the single-mode launch nature of the-LX or long-wave(1310nm)transceiver modules used for Gigabit Ethernet. Launching a single-mode laser into the center of a multimode fiber can cause multiple signals to be generated that confuse the receiver at the other end of the fiber. In that case,a mode conditioning patch cord eliminates these multiple signals by allowing the single-mode launch to be offset away from the center of a multimode fiber. This offset point creates a launch that is similar to typical multimode LED launches. Mode conditioning patch cables are usually used in pairs, which means that you will need a mode conditioning patch cord at each end to connect the equipment to the cable plant. Generally, Mode Conditioning patch cables are required for link distances greater than 984 feet(300 meters).